A step by step guide on how to connect AccuRanker to a Google Analytics account. 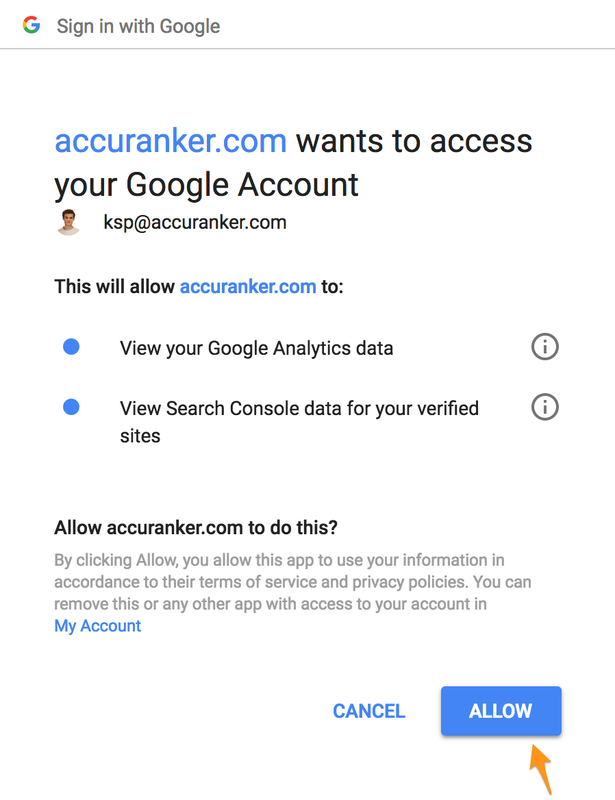 To get the most out of AccuRanker, it is highly recommended to connect your Google Analytics and Google Search Console account. Doing so will provide more in-depth data such as Est. Visitors per keyword and Landing Pages/Tag Cloud data for professional users. Go to the keyword overview page of the domain in question. Click the button labeled "Connect to GA"
Select the desired Google account from the dropdown menu. If the correct Google account is missing from the list, click to add a new one. 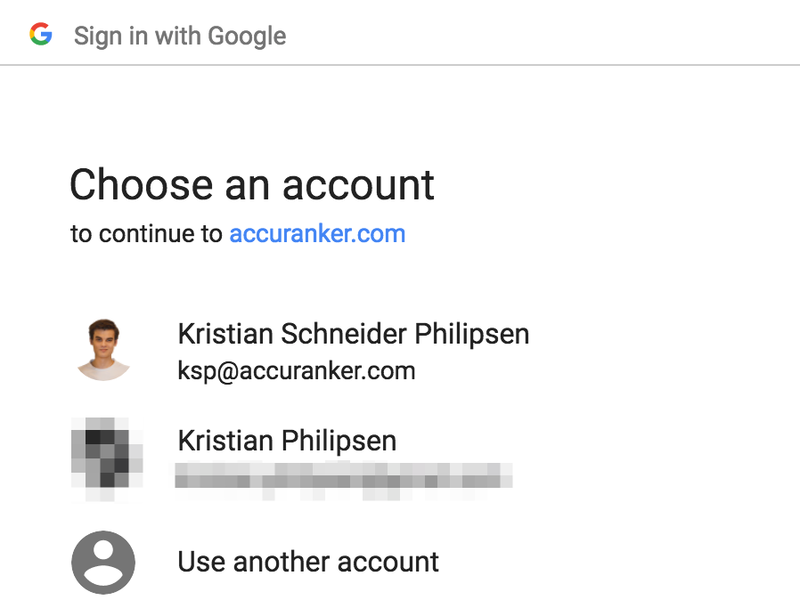 Add a description for your Google Account. Click the button labeled "Add Connection"
When not signed into your Google Account, you will be prompted to do so. If you manage several Google Accounts, make sure to select the one needed for the task at hand. 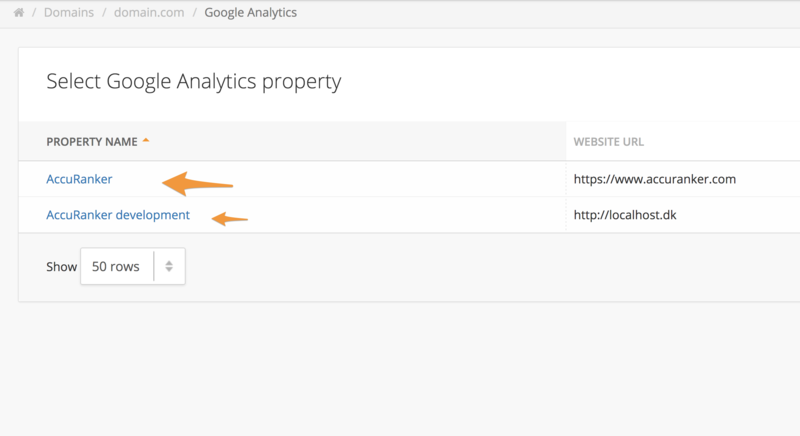 Click the button labeled "Allow"
Select the Google Analytics Account you need. Select the required Google Analytics property. Select a Google Analytics profile. You should now see your GA data in AccuRanker. When both the Google Analytics and Google Search Console have been connected, the Visitors and Potential columns will start showing data. See more on Visitors and Potential here.